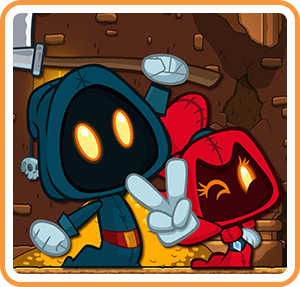 The grim reapers Grimm and Rose need your help to defeat a legion of monsters, ghosts, and evil bunnies using the power of words! Spell words to battle monsters and earn gems that can be used to purchase upgrades, books, special items, potions, and much more! Letter Quest is a turn-based RPG featuring high-res artwork, clever wordplay, and two great soundtracks. Use your linguistic skills to survive! Demolish your foes with tons of upgrades, weapons, books, and more! Journey through a land filled with 40 stages, each playable in 4 different ways! Use your vocabulary to help our heroes vanquish over 30 unique monsters! Try your hand at the challenging endless mode - how far can you get? Marvel at the beautiful high-res art and animations! Enjoy two full soundtracks - choose your favorite! Overcome the challenge of earning all 60 achievements!